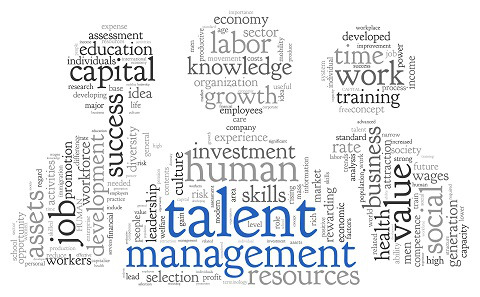 Talent management refers to the skill of attracting and nurturing highly skilled employees, integrating new employees, and developing and retaining current employees to meet the current and future business objectives. It is also known as Human Capital Management. It helps the organization fulfill its vision with the help of efficient and promising talented people. Talent management also assists the organization to build a talent pool comprising a list of talented people to meet future exigencies. It makes the organization more competitive and progressive. It paves the way for future leadership. It helps automate the core processes and helps capture data for making better decisions. Automates repetitive tasks like creating salaries thereby releasing time and resources for making strategies and more critical decisions. Enhances individual and group productivity and capacity to compete effectively in a complex and dynamic environment to achieve sustainable growth. Assists in hiring quality workforce. Establishes better match between jobs and skills. Helps retain top talent thereby reducing the cost of hiring new recruits. Helps in understanding the employees better. Effective use of available man-hours. Helps develop leaders for tomorrow within the organization. Helps in evaluating employee’s readiness to take up new roles. Promotes long-term association with the organization. Persistent and higher productivity of employees. Keeps the employees motivated which helps in career development. Helps the employees get job satisfaction from their work. Thus, talent management can be beneficial for both organizations as well as individual employees.